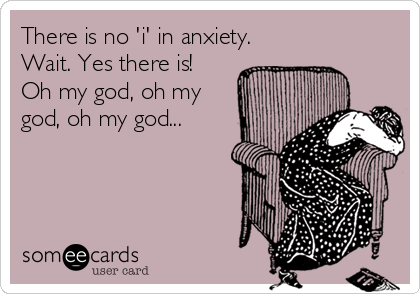 Anxiety is a common yet poorly-understood internal experience. Ask anyone with anxiety what it feels like to have anxiety and they might have a hard time putting it into words. Some will be able to explain how they deal with their anxiety because that often involves behavioral or cognitive techniques that help them cope with their symptoms (commonly known as ‘coping skills’), but aside from that anxiety can be a bit of a mystery. Not all anxiety is made equal so one way to start dealing with anxiety is to begin to identify what it is for you. You can start by simply dividing your experience into categories such as physiological (your body), cognitive (your thoughts), and emotional (your feelings). These are your first steps. Physiological Symptoms. In terms of your physical experience of anxiety, what do you feel in your body when you first start experiencing anxiety? What are the physical signs that help you know that anxiety is about to happen or is currently happening? Many people describe difficulty breathing, feeling like their body temperature goes up, cold hands or feet, tingling in different parts of their body, or uncontrollable sweating. Cognitive Symptoms. In terms of your cognitive experience of anxiety, what is happening to your ability to think when you are anxious? Some people describe difficulty concentrating (thoughts might feel clouded), inability to answer easy questions, general disorientation (not sure where you are or where you are going), and negative thoughts tend to take over. In more severe cases you might think you are dying and may need emergency treatment, which could be part of a panic attack. Emotional Symptoms. In terms of your emotional experience, how is your mood when you are feeling anxious? Many people say that they become very easily irritable, especially when others insist on knowing what is wrong. They get upset, angry, even depressed – meaning, they get sad, feel hopeless, and would rather be alone. This all can have a pervasive more long-term effect in the way we see ourselves, which may include a negative impact on our self-esteem and confidence, and even on our sense of self-worth. If you or someone you love experiences anxiety, which most people do at some point in their lives, you can do something about it. One of the first steps is to familiarize yourself with your experience and to clearly identify your symptoms. If you have kids, ask them about it in the way described above (hopefully not when they are in an anxious state). Learning about the origin of your anxiety through a thorough evaluation helps professionals like psychologists develop targeted, effective treatment plans, which can lead to long-lasting positive results. Take the first step, get to know your anxiety.